With Kommunicate’s bots, you can bring the power of automation and 24*7 availability to your customer support. Also, it helps reduce the load on your customer support team. How to use bots in Kommunicate? You can integrate any custom bot in Kommunicate using Webhooks. This feature is available in Enterprise Plan. For detailed instructions, please drop a message on chat or email us at support@kommunicate.io. Need help in building bots? 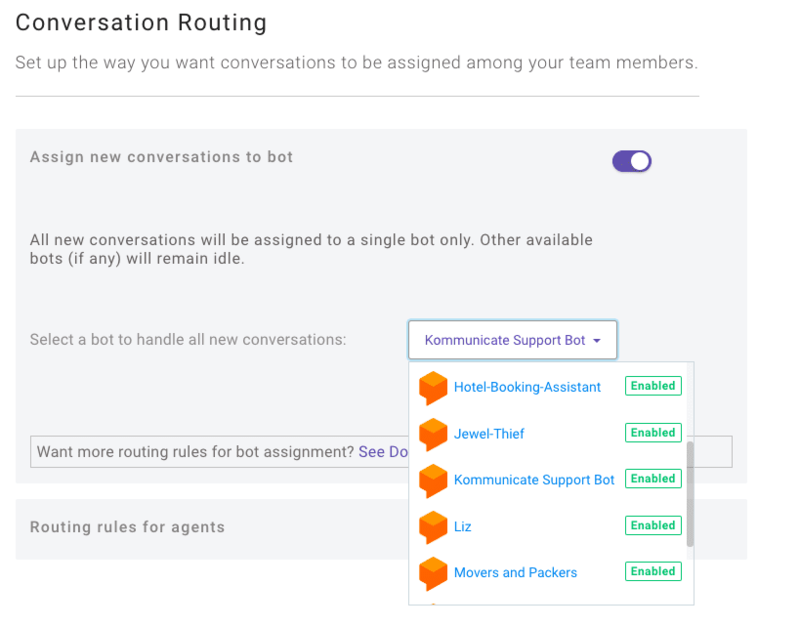 Beginner’s Guide to Creating Chatbots Using Dialogflow: In this guide, you will get to know what bots are and how you can make one using Dialogflow in a few simple steps. 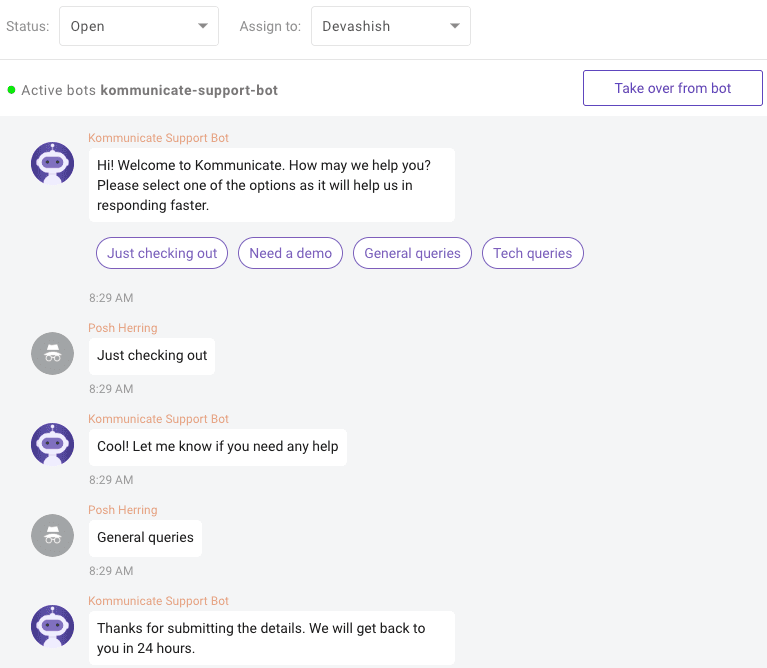 Bot samples from Kommunicate: Here are some ready-made bots developed by us using Dialogflow. Download the bots from import into Dialogflow console. You can integrate the bot with Kommunicate to see it live in action. How to assign conversations to bot? If you wish to assign conversation to bot, navigate to Conversation Routing in Settings. Enable ‘Assign new conversations to bot’ and select your preferred bot from the bot list dropdown. If you are looking to more bot routing options, head here. You can assign a conversation to bot based on certain events and activity. If the bot is not able to answer customer queries, your agents can take over from bot just by a click of a button. In the Conversation screen, click on ‘Take over from bot’ and the conversation will be assigned to you.